Ask your doctor first. Your pediatrician may want you to wait until your baby is 6 months or so to protect her delicate immune system. Always hold your baby. 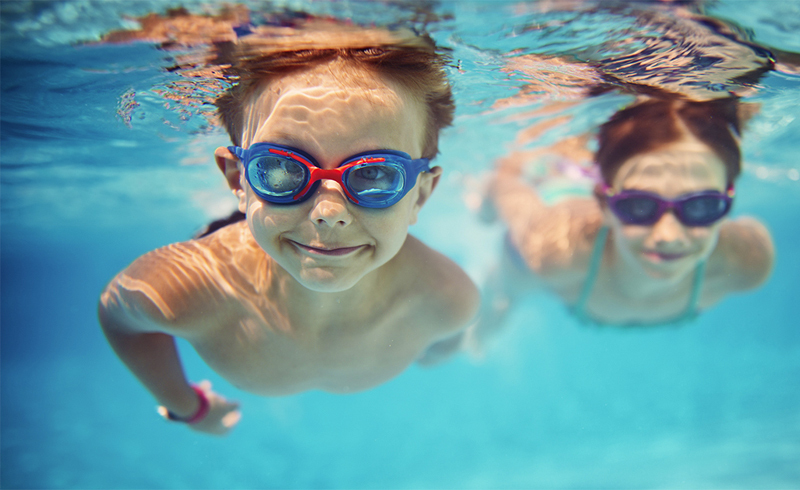 Even if she's a swimming star, "stay within arm's reach at all times," says Gitanjali Taneja, Ph.D., a study author. Keep the pool poop-free. Dress your baby in waterproof swim diapers (and change them often). Stay warm. 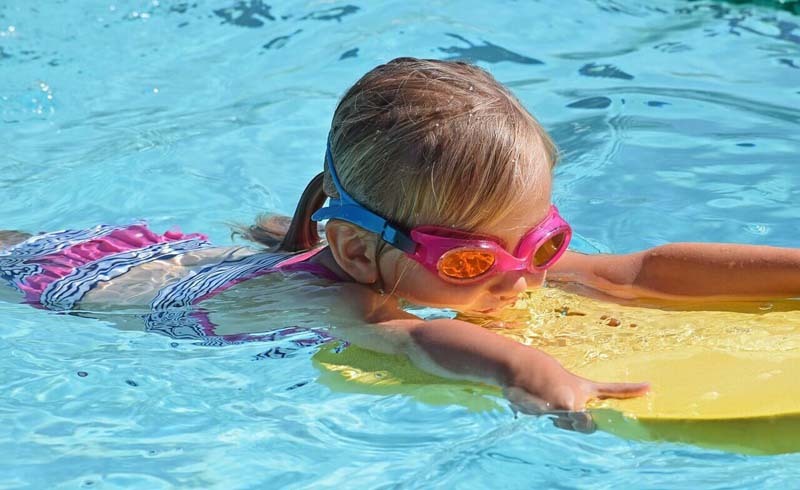 Babies lose heat quickly in water that's below 85°F. If your tot starts to shiver, take her out. Get clean. Dry her ears with a cotton ball to prevent swimmer's ear (an infection caused by water trapped in the ear canal). And, later, bathe your baby to rinse off any chemicals that could irritate her skin.